In this post, I’m going to show you my 5 steps process for ranking number 1 in YouTube. 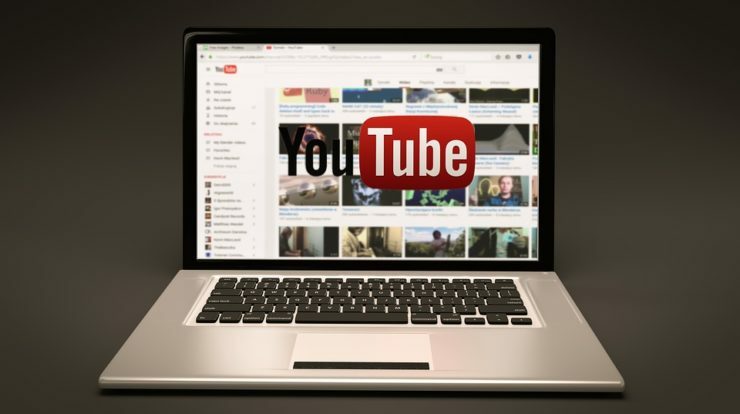 Today you are going to learn 5 most influential video SEO ranking factors to get your videos to the top of YouTube lightning speed. A few years ago, my YouTube channel was struggling. I consistently created high quality videos that provided a ton of value but when I publish my videos, crickets. Needless to say, I was frustrated. I knew that video was a powerful way to grow my online business. However, I learned the hard way that video only works if people actually watch your videos. If it is your mom watching your videos, that doesn’t count. And today, my videos consistently get tens of thousands of views and hundreds of people subscribe to my channel every single month. What’s my secret? I learned everything I could about video SEO. Unfortunately, most of the advice that I initially read about ranking YouTube didn’t work. You know the advice I’m talking about, that is, put keywords in your video description, keyword in your video file name and write 20 tags for every video and for sure this stuff can help. However, it’s not going to sky rocket your video to the top of Google or YouTube. I started ranking for super competitive keywords like “SEO” “link building” “how to get traffic” and more. And now it’s time for me to share these five ranking factors with you and show you exactly how to use them to rank your videos in YouTube. Let’s start with Step #1: Which is to create and publish long videos. You may have noticed that longer videos tend to perform better in YouTube. YouTube’s most important ranking factor is your video’s total watch time. As you probably know, the more of your video people watch, the better it tends to rank. That is called audience retention which is an important ranking factor. Even though audience retention is important, it is not nearly as important as your video’s total watch time. That’s because YouTube wants to promote videos that keep people on YouTube for a long period of time. So the more total minutes people watch of your video, the more YouTube will want to rank it in the search results. For example, let’s say that you just published two different videos: Video 1 is 2 minutes long and Video 1 is 10 minutes long. Imagine that each video gets 1000 views and the audience retention for both videos is exactly the same, 50%. That means that on average, people watch half of your video. The total watch time for the two-minute video would be 1000 minutes. However, for the longer video, that videos watch time will be 5,000 minutes. That means that video number 2 will have 5 times the watch time of video number 1, which means that are likely outrank video number 1. That’s the power of publishing longer videos. In fact, my video that ranks in the Top 3 for “Top Secret Keyword” is nearly 10 minutes which is significantly longer than most videos on YouTube. Since it’s longer, my video accumulates more total watch time than my competitors. And I’m able to rank above videos with significantly more views than mine. Let’s move on to Step # 2: That is the master the hook. I just mentioned earlier longer videos tend to rank better because they accumulate more total watch time. However, there’s one big problem with this approach. You have to keep someone’s attention on the Internet. Fortunately, my experiments have taught me that if you can hook someone in the first 15 seconds of your video, you’ve hooked them for good. In fact, YouTube recommends that you focus on the first 15 seconds of your video to maximize watch time. The question is, how do you hook people in the first 15 seconds of your video? By using the Preview, Proof and Preview formula you can grab your audience attention for the first 15 seconds. This is how it works. First, preview what your video is all about. When I first started creating videos, my intros would go on and on about why my videos topic was important and these long-winded intros would make people click away. Today, I cut out the fluff and tell them exactly what to expect. For example, let’s say that your video outlines 10 paleo diet tips. You want to start off your video saying; in this video you’re going to learn “10 of my favourite Paleo diet tips.” That’s it. Next it’s time for the proof. Step #3: We have putting your exact keyword in your title. There’s no question that Google and YouTube are getting smarter everyday, this means the days of keyword stuffing your video to the top of YouTube are long gone. That said, Google and YouTube both use your video’s title to understand what your video is all about. So, make sure to include your exact keyword once in your title, preferably in the beginning of your title. For example, I created a video that I wanted to rank for the keyword “link building” so I made sure to include my exact keyword “link building” in the beginning of the title and that helped it ranked in the Top 3 for my target keyword. Now it’s time for ranking factor Step # 4 which is to say your keyword in your video. When I first got started with video SEO, I’d go back to old videos and optimize them around keywords that I wanted to rank for and it very rarely works. That’s because Google and Youtube can now listen to your videos even without a transcript. For example, let’s say they just published a video about healthy desserts. Then a few weeks later, you realize that the keyword healthy dessert is too competitive. So, you go back and optimize it around a different keyword like low carb desserts. This sounds smart, but it’s something that doesn’t work as well as it used to. Why? Even though the keyword low carb desserts may be in your title, description and tags. You never said that keyword once in the video. YouTube knows this and it looks fishy. To YouTube your video is about healthy desserts, but all of your on-page meta data says it’s about low carb desserts. Therefore, they won’t rank you for either keyword. That’s why I always make sure to actually say my target keyword in every video. For example, in my video about “Passive income”, I made sure to say the word “Passive income” a few times simple yet effective. Lastly, we have user interaction signals. YouTube wants to see that people are actually interacting with your video. The more people watch, likes, subscribe and comment on your video, the higher your video will rank in YouTube search results. Now the strategies that have showed you so far will help you naturally get more of these user interaction signals. However, there are two simple tactics that I use on every video to increase my videos user interaction signals. First, I add an annotation that asks people to like my video after a lot of experimenting; I found this simple annotation significantly boosts the number of likes that my videos receive. At the end of my video, I also ask people to subscribe and comment, which also increases the amount of my videos’ user interaction signals. Here is a quick bonus tip for you which are optimizing for click-through rate. When someone searches for something in YouTube, YouTube pays very close attention to what video they click on. For example, let’s say your rank #5 for your target keyword. As you probably know, videos ranking #1 through #4 get the vast majority of clicks, but for some reason lots of people is clicking on your video in the search results. What do you think YouTube will think about your video? Let me tell you, this is a great result for that keyword and YouTube will give your video a rankings boost (that means from rank #5 to rank #2) to make it easier for people to find. Therefore, how do you maximize your click-through rate? Well, YouTube displays three main pieces of information in the search results, your title, your thumbnail and a snippet of your description. Here’s how to quickly optimize all three for click-through rate. The key with your thumbnail is simply that it stands out. That means that you want to create a custom thumbnail that looks different than the other video that are on the first page. For example, my video has a completely different design and color scheme than my competition. For your title, like I mentioned before, you want to include your target keyword once. Other than that, your goal with your title should be to maximize your click-through rate. As you can see, my video title is emotionally compelling. I also include the current year so people know that the content is still relevant. Finally, you want to write something compelling in the first few lines of your description. Most people put a link to their website or a channel here and it’s a huge mistake. Nothing looks less enticing to click on that a link to someone’s website. Instead, write a sentence or two that includes your target keyword in a compelling way. For example, in my SEO video my first sentence is, “If you want to rank in Google today, there’s a new SEO ranking factor to pay attention to.” And this attention-grabbing line gets more people to click on my result.